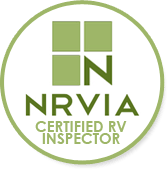 The mission of the NRVIA is to set and promote standards for recreational vehicle inspections and to provide the educational programs needed to achieve excellence in the profession and to meet the needs of our members. We are happy to be RV Lifestyle ambassadors in affiliation with Workamper News. This allows us to spread the word about the many ways you can live a very happy life in an RV, either on a full-time or part-time basis. We can highly recommend the RV Maintenance Training course so that not only will you learn more about your RV, it can serve as the foundation for starting RV maintenance or RV inspection businesses. To join Workamper News, enroll in an RV Training course, or just to get more information, click the Workamper logo above. Please be sure to use our Ambassador Code of AMB182 to receive additional benefits. Are you looking to get protection and peace of mind when it comes to anything related to your RV? RV Warranty Connection can help you get connected with Extended Service Agreements, Roadside Assistance, Tire and Wheel Protection and more. RV Warranty Connection represents several different companies and will help select the policy type, company, and coverage that makes the most sense for you. Click their logo above and be sure to let them know that RVIS sent you! JG Lubricant Services offers coolant and lubricant analysis for many different types of equipment and a host of different applications including engines, transmissions, differentials, generators, and more. Perhaps you are thinking of purchasing an RV. RentWizard will help you find the perfect RV to rent for as long as you desire to help you in your selection process. If you already own an RV and would like to earn some extra income, check out how you can make money and save on taxes by using RentWizard. Click the RentWizard logo above to find out how RentWizard may be able to help you. TechnoRV is a company that provides products that enhance the RV lifestyle. If you are looking for surge protection, full Electrical Management systems, GPS, WiFi, LED lighting and more, check out TechnoRV. Click the logo above to purchase any of the items they offer. Wholesale Warranties is the premier provider of extended warranties for recreational vehicles. Their specialty is providing established and fully insured service contracts. Click their logo above to obtain a quote or more information. RVIS, LLC is a Good Sam Preferred Provider. Good Sam’s provider network has more than 10,000 providers nationwide, with approximately 1,000 Preferred Providers. The fastest growing destinations, road trip, travel RV park and campground directory.